The simplistic description of this book is that it tells the story of the burning of the Los Angeles Public Library in 1986, a disaster that destroyed 400,000 books and damaged 700,000 more. 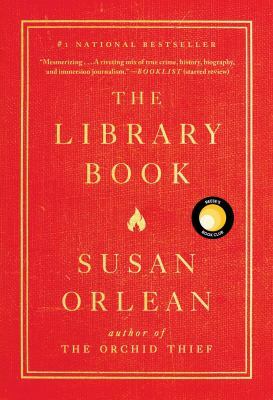 But it is far more than that – The Library Book by Susan Orlean is about the joy of reading and learning, the magic and potential of libraries, the people that make sure libraries are open every day to everyone. It is a love letter to libraries everywhere. The fire itself is fascinating. A perfect combination of fuel (the books) and oxygen (from the unique shelving system that allowed ample air circulation), the fire burned at up to 2000 degrees for seven hours. Most fires burn orange and red, but this fire achieved a chemical reaction known as a “stoichiometric condition” and burned clear, a phenomenon that most firemen never see and is usually only able to be produced under specific lab conditions. The Library Book also delves into the history of the Los Angeles Public Library including its unique architecture, its growth which reflects Los Angeles itself growing from a raw, untamed outpost to a center of glamour and sophistication, and the colorful people it serves. I found that LAPL’s struggles are often universal to libraries everywhere – incorporating and embracing technology, serving diverse populations, maintaining a collection and, always, budget. Descriptions of many of their patrons and incidents rang very familiar with me, although I have to say I’ve never (and hope never to) run into a patron like the one on page 159! Hopefully, if you’re reading the library blog, you’re a fan of libraries already and you’re predisposed to be interested in this book but I think anyone would find this book interesting. Orlean is a masterful storyteller, weaving multiple storylines together, sprinkled with fun ancedotes and real life observations. 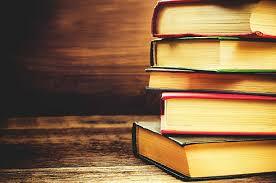 One of her main thesis is that libraries are the repository of memory and the keeper of time. Not just historical, but personal, that the experience of walking into a library and being able to check out a book holds a certain joy no matter the building. Her stories about her childhood library and visiting it with her mother are poignant and heartfelt prove this belief beautifully and elevate the book far beyond a dry accounting of events. Read it. You’ll love it.